It was Aaberg's mother who first noticed her son's musical talent early on. He began playing music at age four. By the time he was fifteen, he traveled on the train tweleve hours one-way every two weeks from Chester to Spokane, Washington, to study with Margaret Saunders Ott, a Julliard-trained pianist and teacher who was chair of the piano department at Whitmorth College. Early on, Aaberg displayed an eclectic taste in music and, along with the piano, he played drums and organ in a garage rock band that he and his brother started while in high school. He also played in symphonies across Montana before heading off to college. Aaberg's abilities later earned him a Leonard Bernstein Scholarship and Harvard National Scholarship at Harvard College, where he received a Bachelor in Arts degree in music. His musical career is as diverse and expansive as the Montana landscape he calls home. After graduating from Harvard, Aaberg later moved to San Francisco, California, to make pop and rock records. He played solo and in small combos in San Francisco blues clubs until joining the Elvin Bishop Group in 1973. He first appeared on the national scene as keyboardist with The Elvin Bishop Band. He toured with the band for four years and played on several of their albums. 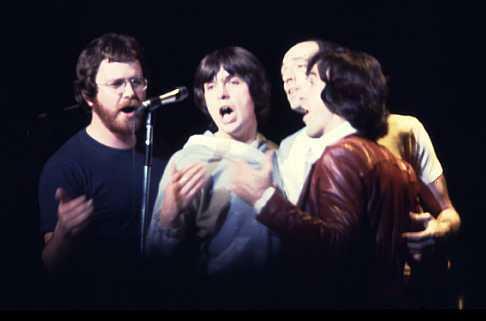 Aaberg later toured with Peter Gabriel and recorded with the Doobie Brothers, Kenny Rogers and Vince Gill. He began composing his own music seriously in 1985. Shortly after, he signed with Windham Hill Records and released the influential and critically-applauded solo album "High Plains," which garnered him international acclaim. It was a solo piano suite that brought elements of blues, bluegrass, rock, and new music to his meditative compositions. It showcased his eclectic musical background. It was an immediate hit. His second album, “Live from Montana,” earned Aaberg a Grammy nomination for Best New Age Album in 2002. It was recorded in the Chester High School gymnasium, where Aaberg played basketball years before. Shortly afterward, he moved back to Chester for good with his wife, Patty, and their son, Jake, to form his own label, Sweetgrass Music, named for the hills north of his hometown. Aaberg has played with the Boston Pops, participated in the Marlboro Chamber Music Festival, premiered contemporary compositions with the Paul Dresher Ensemble, and performed on more than 200 albums and on PBS' "All-American Jazz," which also earned him an Emmy nomination. Another Emmy nomination followed in 2008 for his soundtrack for "Class C: The Only Game in Town," produced by Montana PBS. Since returning to Chester, the Aabergs founded Arts Without Borders, a statewide nonprofit that provides music and arts lessons and deepens experiences in the arts for children in Montana communities. Through this label he has endeavored to produce music that “connects a global audience to the sweeping landscape of the West.” Throughout his career, Aaberg has produced music that consistently translated Montana's farms, ranches, and native cultures into "musical concepts" and has "forged a unique keyboard style that paints an audible portrait of his home state." 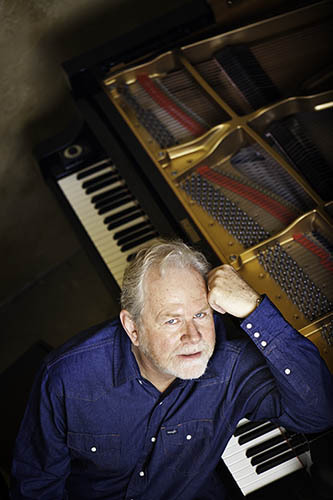 Aaberg has been the recipient of numerous awards and honors throughout his career, including the Montana Governor's Award for the Arts, Montana Arts Council Artists Innovation Award, an honorary doctorate in music from Montana State University in 2013, the Montana Governor's Humanities Award, and he was named Montana's Treasured Artist in 2016. He also serves on the Ucross Foundation selection committee, the Montana Tourism Advisory Council, and the District 4 Human Resources Development Council. Aaberg's monthly radio program, "Of the West: Creativity & Sense of Place," can be heard across Montana on Yellowstone Public Radio and www.ofthewest.net.